Ultra Pep ® Slim 6 is a weight loss dietary supplement for weight loss with plant extracts of Green Tea, Cola, Pilosella Birch, Griffonia, Ortosifon, Dandelion and Tamarind juice. 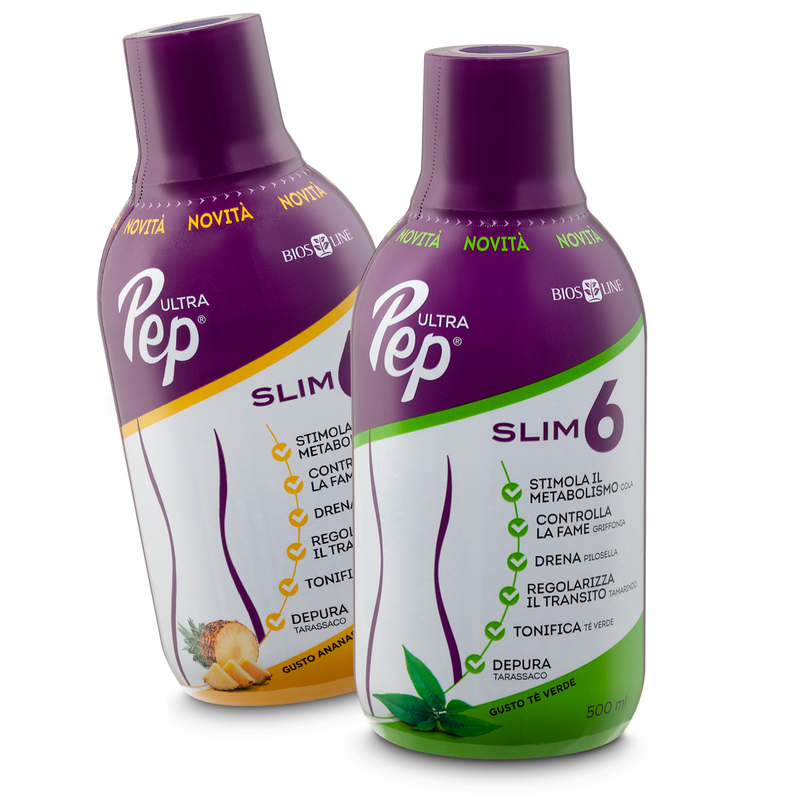 Ultra Pep ® Slim 6 is easy and quick to prepare and available in two palatable flavours: Pineapple and Green tea. It contains no artificial colours and is sweetened with sucralose, Date juice and Apple. 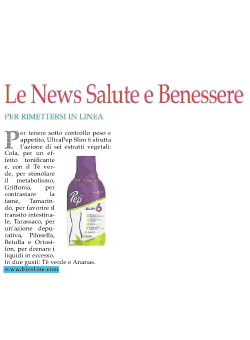 It is a useful support in weight loss programs. Indicated to eliminate excess liquids, promote thermogenesis, purify and deflate, improving intestinal function. One 20 ml scoop a day in 200 ml of water between meals or dissolve 20 ml in a bottle of water and drink as desired during the day, always between meals. Extracts of Green tea leaves, Cola seeds, Birch leaves, Pilosella herb, Griffonia seeds, Ortosifon leaves, Dandelion root and Tamarind juice. Without artificial sweeteners, sweetened with sucralose, date juice and apple. Flavours: Pineapple and Green tea. Read the warnings on the package.